Meditate on this image for a moment. How many fables revolve around turning mere rocks into precious metals? Was not such a transmutation the goal of alchemists? 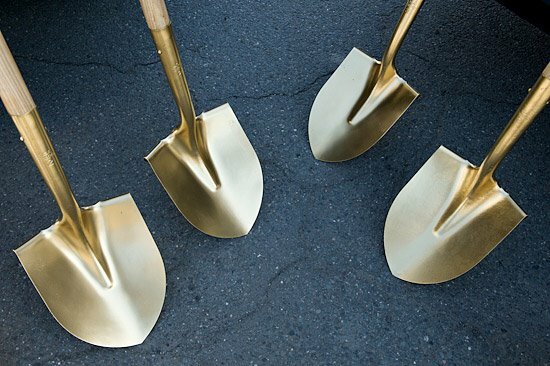 I felt like I struck gold when I went to shoot the groundbreaking ceremony announcing the construction of the Franklin Regional Transit Center. The event was part politics, part performance art. 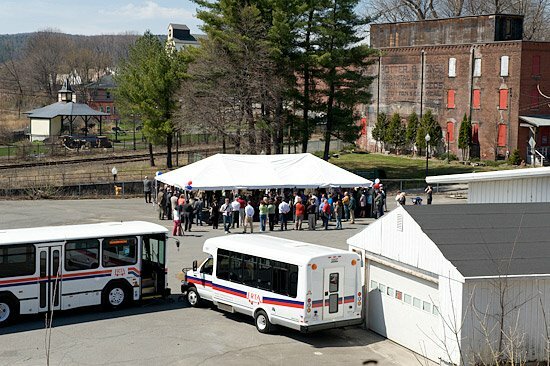 To the delight of the assembled officials, Greenfield Mayor Christine Forgey announced that $12.8 million federal stimulus dollars made possible the start of construction. 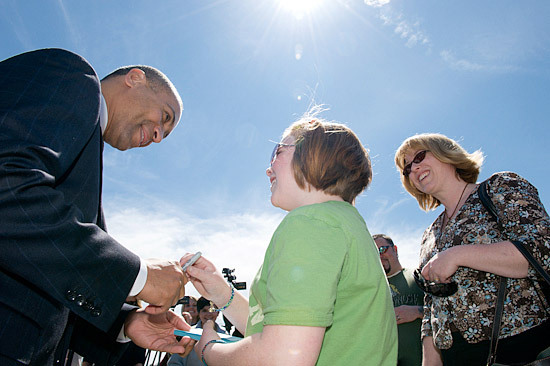 Massachusetts Governor Deval Patrick stands next to her. The new transportation hub, sited on the lot of a former car dealership, will be a bus terminal and possibly a rail station. To shoot an overview of the theater, I walked a few blocks, entered a skateboard park, and climbed up on a ramp. Since each politician in the tent was making a speech, I figured I had time to make this detour before the "money shot." 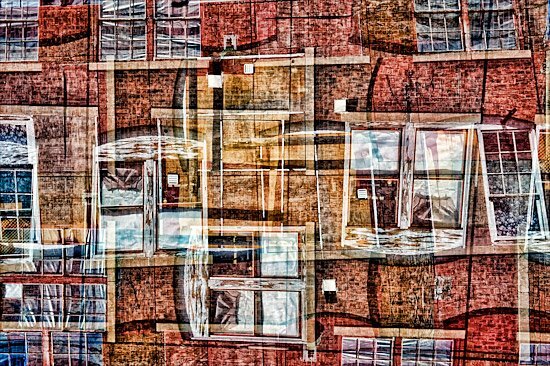 On my way to this perch, I could not resist making a multi-layered view of an old building. 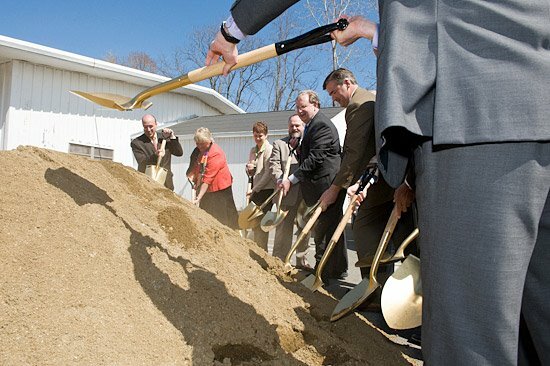 "Let's adjourn to the sandpile," announced Mayor Forgey, "which is a representation of the groundbreaking." I got low for this shot. At the last moment, Congressman John Olver (foreground) stepped up and blocked my angle on Governor Patrick. After the performance, Colby Johnson received an autograph from the Governor. She had lost his signature from an earlier meeting. "We're going to frame it," said her mother, Gretchen Johnson.